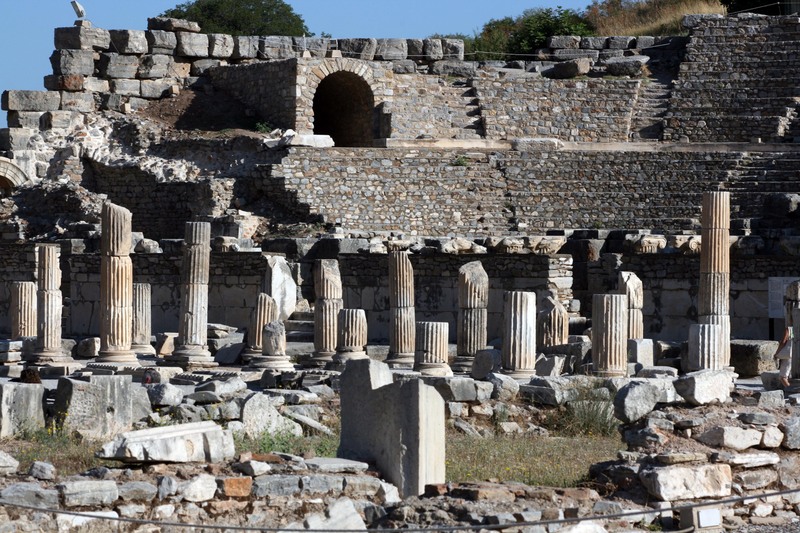 Ephesus was a port of call on our 12-day Mediterranean cruise. 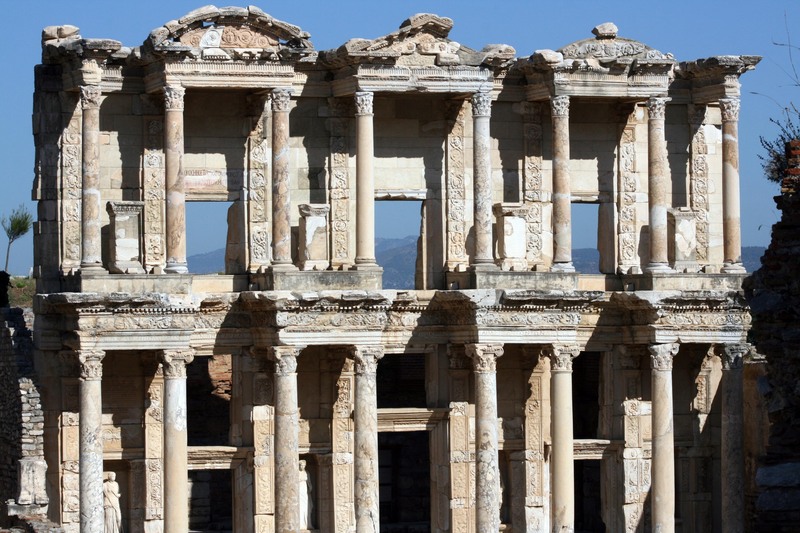 A half day Ephesus tour is just the right amount of time to see everything this once-rich city has to offer. 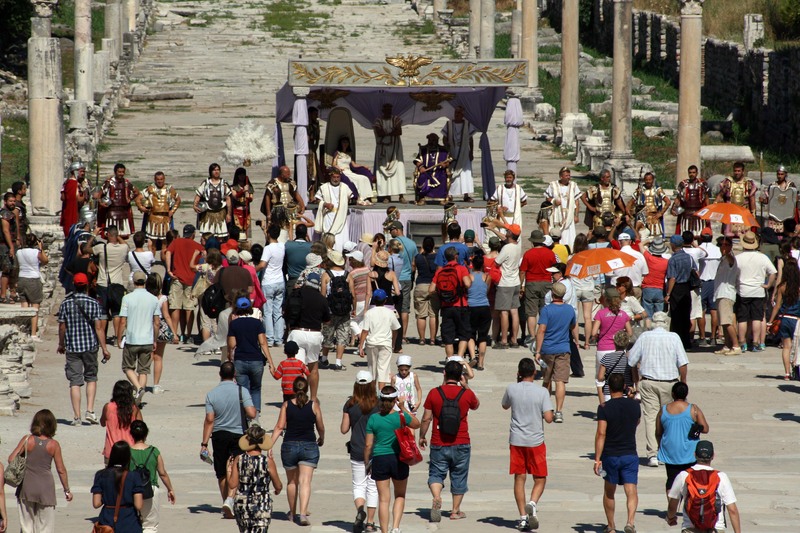 We booked a private tour* of the ancient city through a company called Ephesus Deluxe. 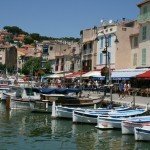 *A quick note on private tours: We joined the free forums at CruiseCritic.com before our cruise to connect with other travelers on our boat. We arranged private tours in advance with a small group (8-12, usually). 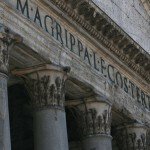 You will save a TON of money compared with the shore excursions you would book on the cruise ship, and you won’t have to deal with a humongous group while you’re on your tour. All of the ones we signed up for had smaller air-conditioned vans to cart us around to our various locations. It was a much better way (for us) to see the sights! 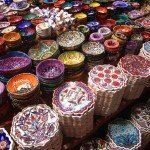 We were picked up at the port of Izmir in a white Mercedes minibus. 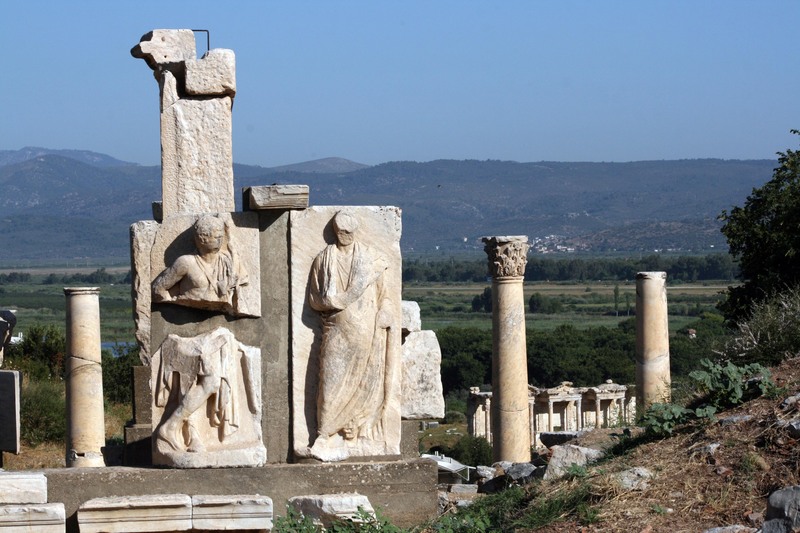 It was a very nice hour drive inland to Ephesus. We didn’t expect Turkey to be so lush and green! It was quite beautiful. 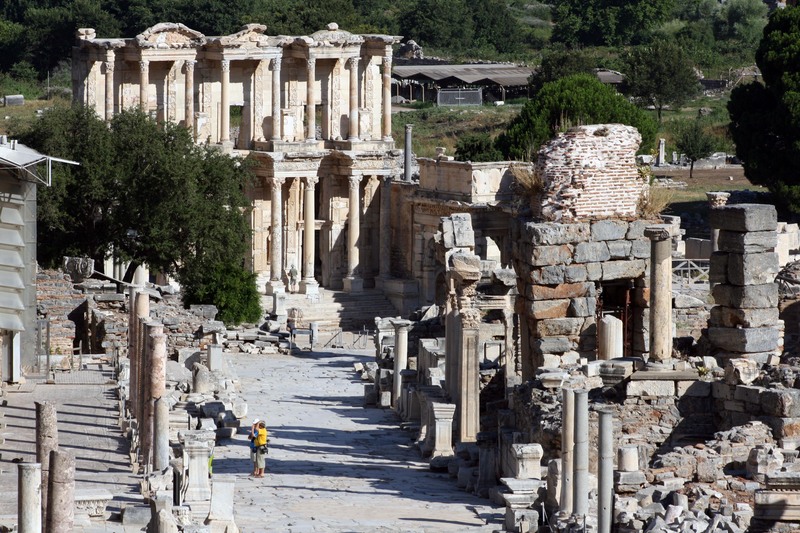 Our half day Ephesus tour arrived to the ancient city and seemed to have beat the crowds. The ruins were absolutely intriguing. 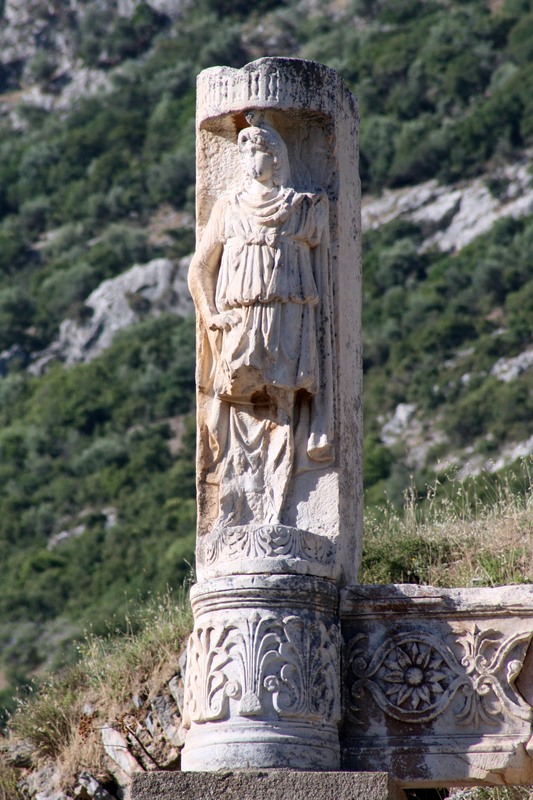 The ancient city was made mostly out of marble. 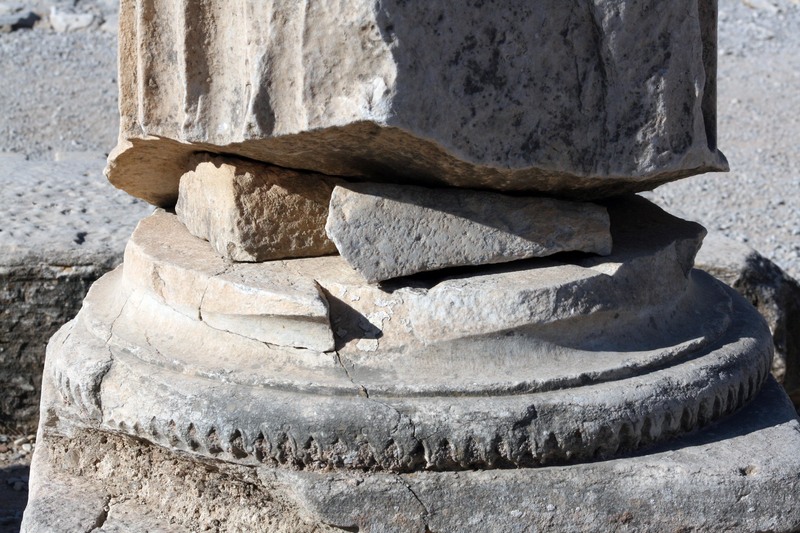 Our tour guide was very knowledgeable and told us about the ruins, such as what was there, the purpose behind some of the structures and how archaeologists have worked tirelessly to restore this ancient city mostly destroyed by earthquakes and centuries of weather and wear. 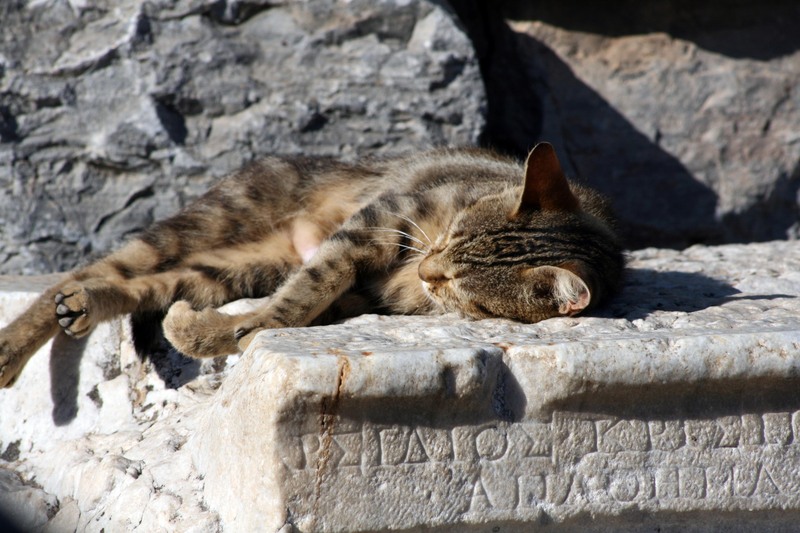 One interesting thing about Ephesus is, just how the Acropolis (Athens) had tons of homeless dogs hanging around, Ephesus had tons of cats. I guess the tour guide sometimes bring food for the cats, so they followed ours around crying for food. 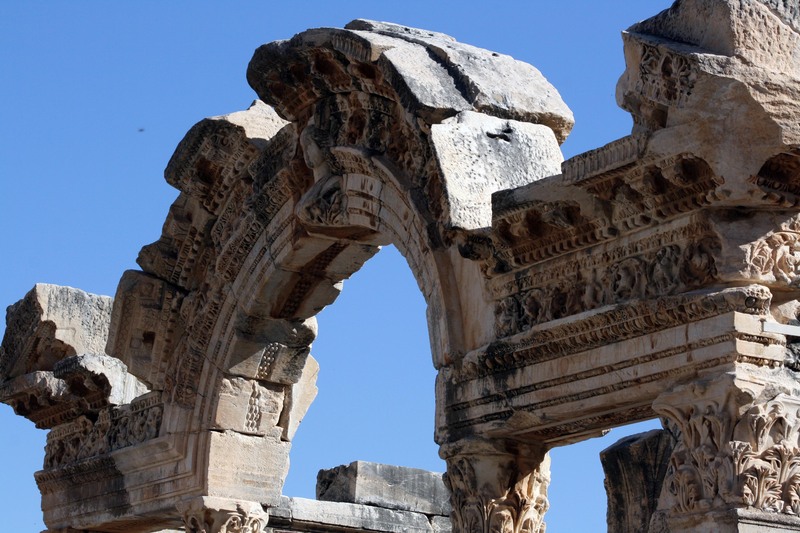 Throughout our tour we saw the Odeon, Temple of Hadrian (pictured above), the Roman Baths, and the Fountain of Trojan. 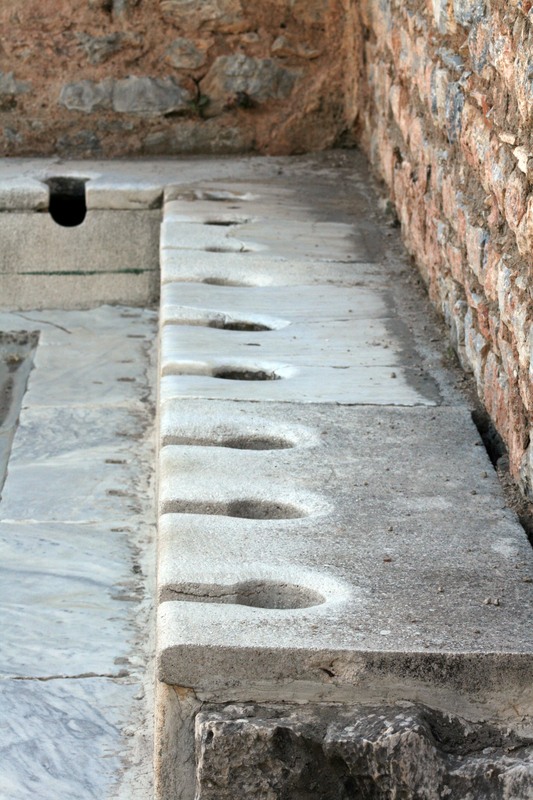 We found the Latrines (community commodes) to be rather fascinating. 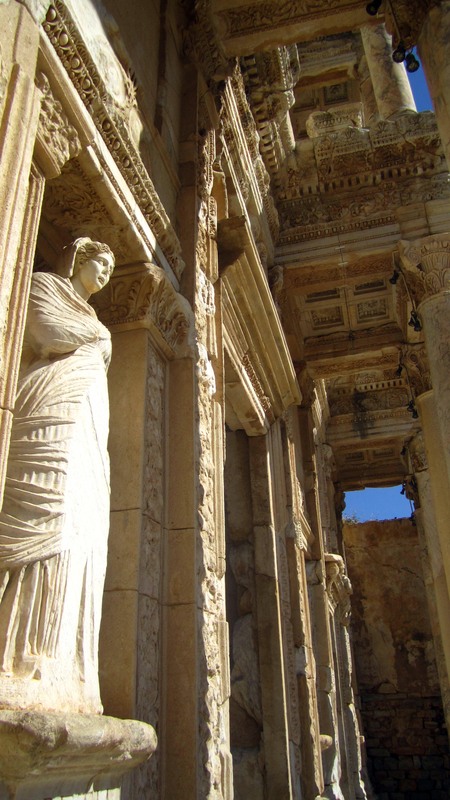 The main attraction (which is also the most photographed) is the Celsus Library. 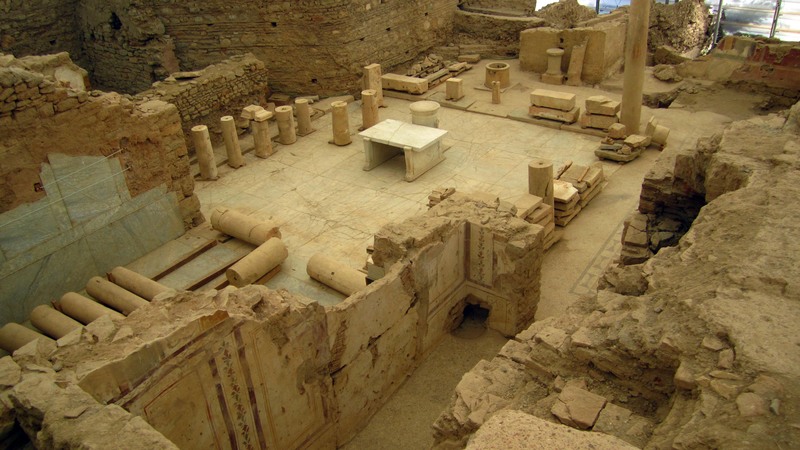 Archaeologists did an incredible reconstruction of the ruins, which took 12 years to put back together. We also visited the Terrace Houses, which were pretty incredible. 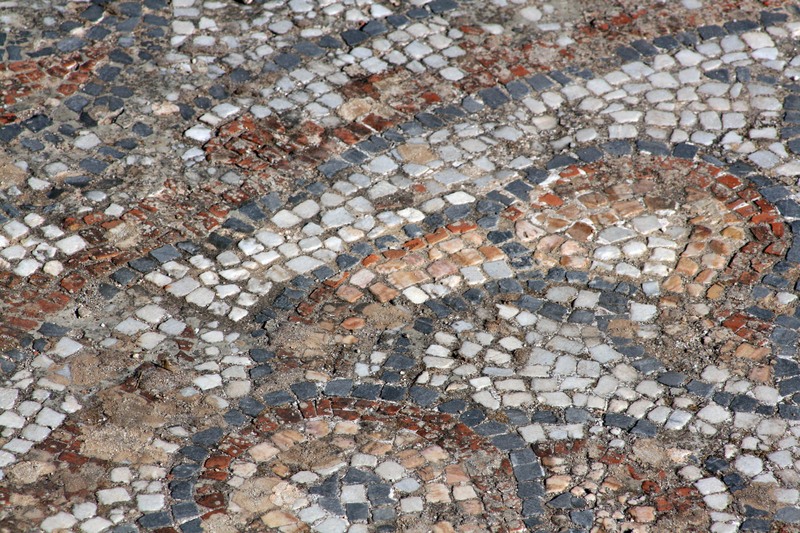 Many rooms and mosaic floors were still semi-intact. 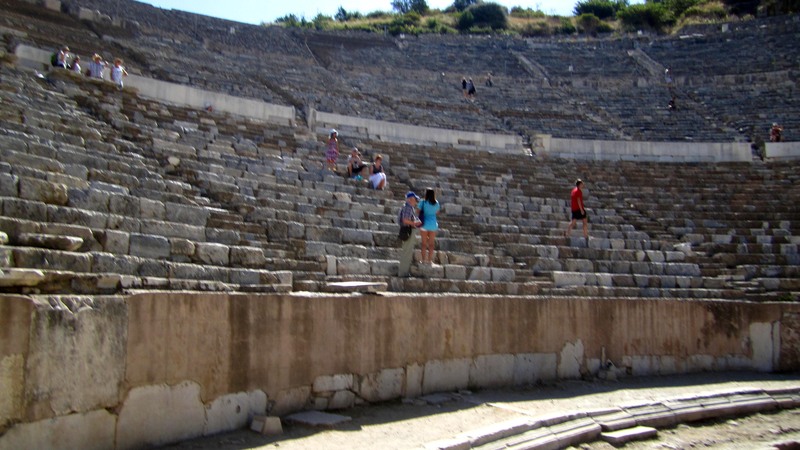 We then stopped by the Theater of the ancient city. We walked through the tunnel where the gladiators and ‘beasts’ walked before a battle. Our way out of the ancient city, a cheesy “real” gladiator duel took place. It was mildly entertaining, at least. 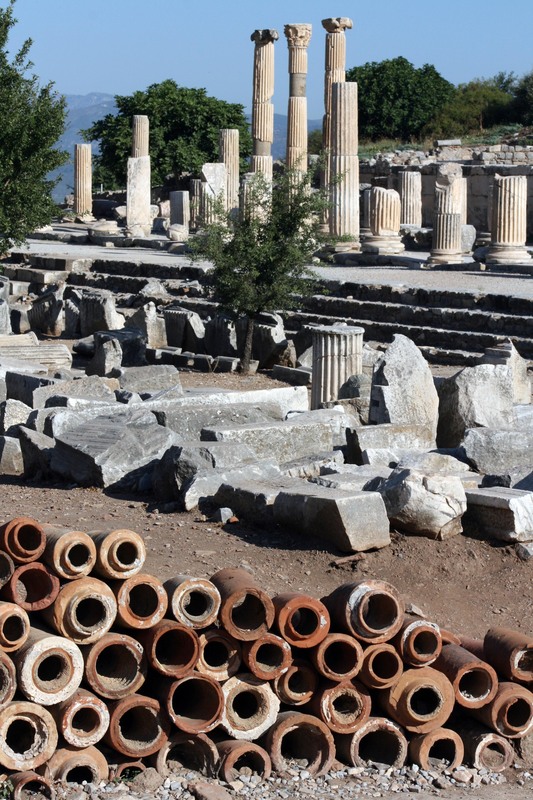 On the way back to port, we stopped off to see one of the remaining columns from the Temple of Artemis and then visited a Turkish rug shop/factory. 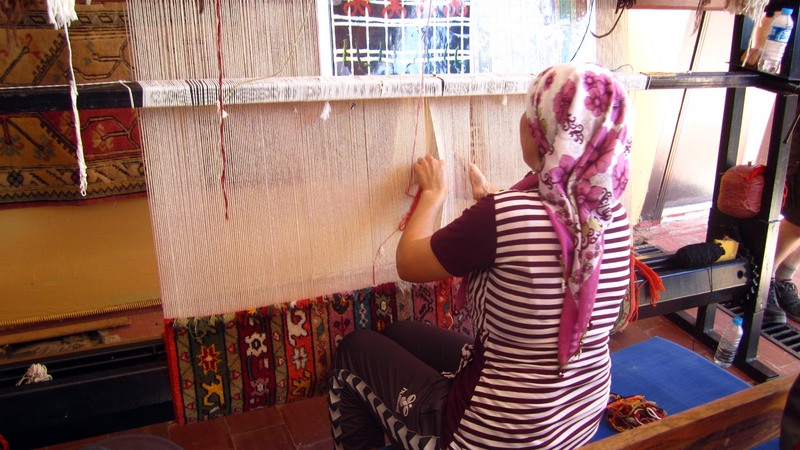 When I say factory, I mean women working by hand to tie individual knots to create a rug that can sometimes take weeks or even months to complete. It was fascinating to see how they were made. 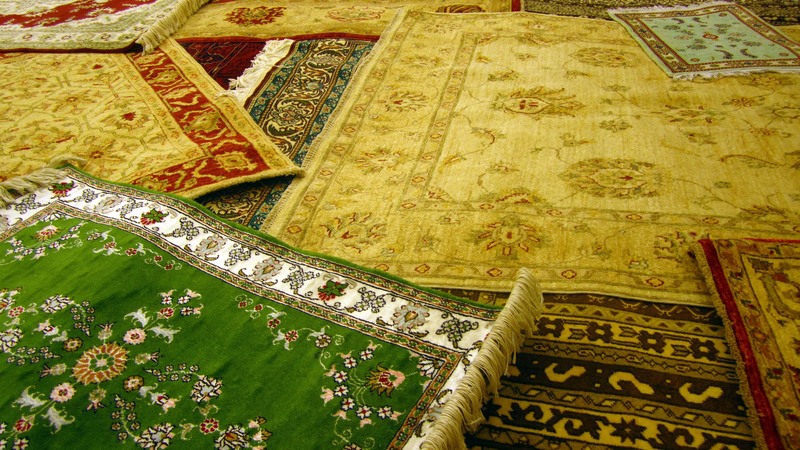 It was, of course, a little sales pitch built into the tour, to see if any of us were interested in buying a rug that cost hundreds, if not thousands, of dollars. No one in our group was interested in spending that kind of money. All in all, it was a great tour only US$50 per person! It got pretty steamy in the afternoon, but the breeze was nice in the morning and kept us from vaporizing in the afternoon. We had to be back on the ship no later than 12:30 PM, so it was a short day.